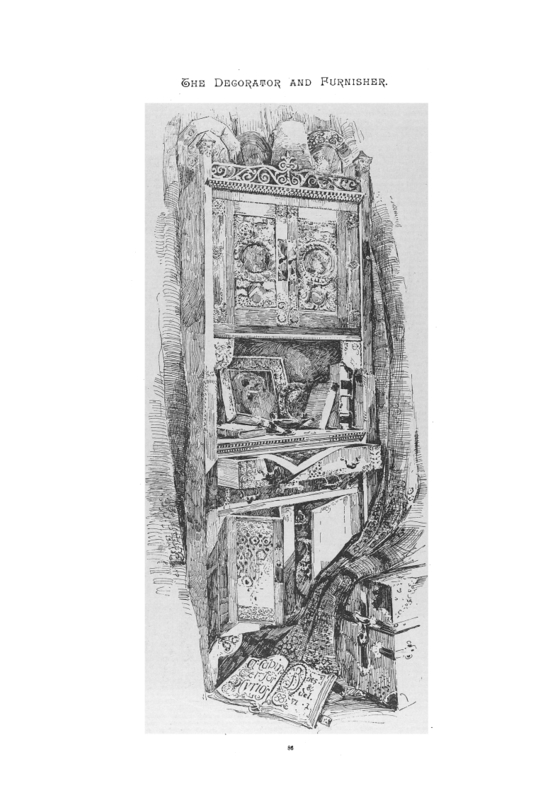 An illustration of a bookcase from "The Decorator and Furnisher", an art journal from the late 1800s. 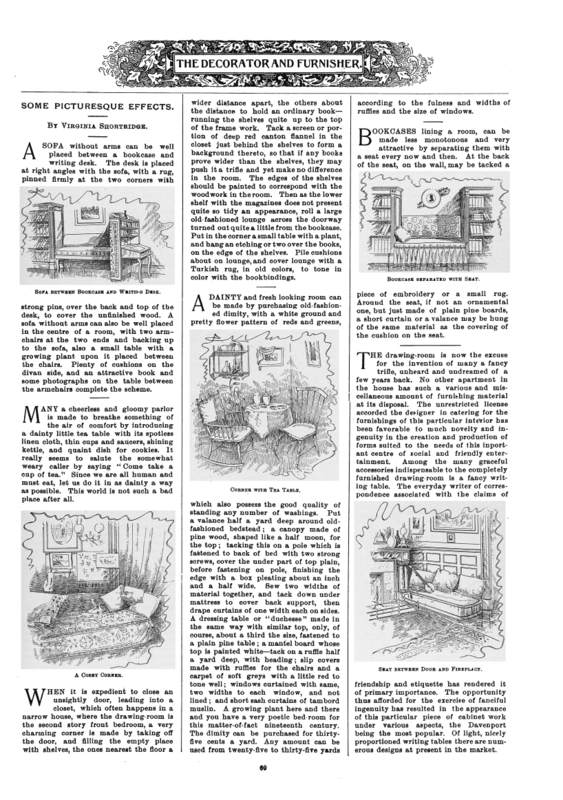 The same art journal discusses how a bamboo bookcase can be made to order. Different types of wood and displays can be arranged separately. 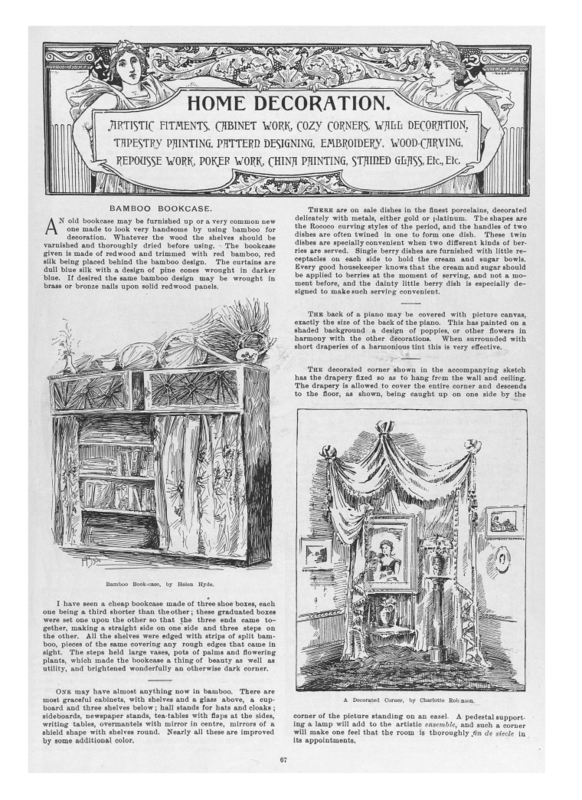 Virginia Shortridge provides examples of ways in which one person can improve the visual quality of the interiors of their homes. She claims that a sofa in between bookcases is much more 'attractive' than just having a wall of books.